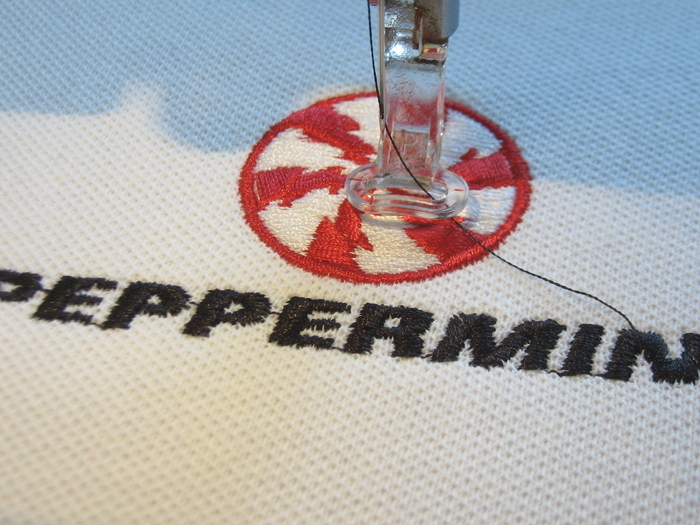 In partnership with HELLOTUX, Peppermint are please to announce the availability of quality T-Shirts, Polo-Shirts, and Jackets with the Peppermint logo individually embroidered directly onto the garment. Are there going to be any more of those wooden USB sticks that Vin gave us a glimpse of once? There will also be Peppermint Stickers (hopefully metallic), and POSSIBLY some "Peppermint Pre-Installed" hardware and other stuff. Oh, man, that's great ! Maybe we can get some case badges too ?!?!? Sweet. I still have some stickers from the old Peppermint store. though they say they are a limited stock item. I got a polo for father's day. Can't wait to show it off. I've had a word with Gabor from HELLOTUX and he's trying to source some more Jackets and stuff .. he says hopefully by September .. a bit of a wait, but better than nothing I guess. I installed it yesterday and so far so good except for one thing. When I change theme from red dark to blue dark and in control center, window manager theme from red dark to blue dark, it won't color the close button from red to blue. That's because the close button is always supposed to be red (kind of as a warning) .. if you want to change this, you'll need to edit the close button images in the xfwm4 part of the theme. Can I ask why you posted this in a topic about T-Shirts ? I feel like such an idiot. I didn't even notice that. I'm sorry. I really could use a distro sticker for my desktop/laptop...... not essential....but would be cool. In case you have any other merchandising ideas.